When compared to winning the lottery? What are the odds of being killed by a coconut? Despite what Saturday morning cartoons have taught us, having a coconut fall on your head is no laughing matter – a coconut dropping from a 35m tall tree can reach speeds of 80 km per hour, packing more than a metric tonne of force and enough to do significantly more damage than a lump with stars or birds circling it to your cranium. 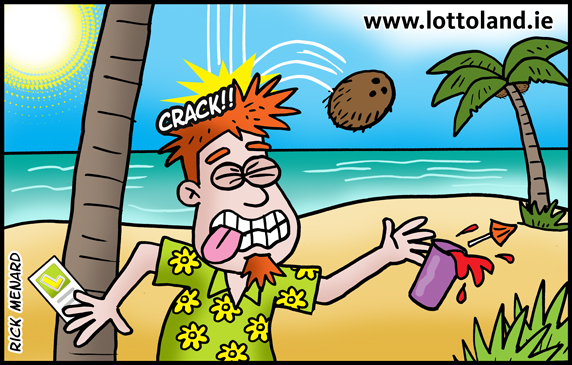 But what are the odds of being done in by a falling coconut when measured against winning a Lottoland lottery? For years it was common knowledge amongst collectors of useless trivia that coconuts kill about 150 people a year. However recent scrutiny by the scientific community has shown that the chances of actually dying by coconut have likely been greatly exaggerated. The faulty figures on coconut caused catastrophes come from a study conducted by physician Dr. Peter Barss, aptly titled “Injuries due to falling coconuts” published in the November 1984 issue of the Journal of Trauma. However after years of being taken as fact by the unsuspecting public, since 2001 Barss's findings have been called out by the scientific community for being nothing more than an elaborate deception, a hoax, a con, a racket, a sham, a “wooden nickel” if you will, designed to gain publicity by playing on people’s instinctual fear of falling objects cracking their craniums. In his paper Barss claimed that 150 people are killed each year by falling coconuts although the way that he reached this number was never clearly outlined in is paper. In coming years however, a surprising number of coconut related statements and security measures would be undertaken citing his study as fact. For example, in the years following the study officials in Queensland, Australia began removing coconuts from local palm trees, causing a newspaper to dub them as the “the killer fruit”. The controversial fact hit headlines again when George H. Burgess the director of the International Shark File claimed coconuts were far deadlier than sharks which was then quoted by the Boston Globe in 2009. This misinformation was further exasperated when a UK-based travel insurance company attempting to market vacations to Brits in Papua New Guinea, apparently attempting to assuage the fear of carnivorous fish in the ocean, warned that coconuts are “10 times more likely to kill you than sharks” which was then cited as fact by the Chicago Times as fact in 2005. In 2010 the Guardian reported that the Indian government had removed all of the coconuts from trees at the Gandhi museum in Mumbai "for fear that a nut would descend on to the head of President Obama". It all seems to have gotten a bit nuts, pardon the pun. Scrutiny of Barss's research methods show that rather than carefully investigating and cataloguing the global tally of coconut fatalities over a statistically significant period of time, Barss used the less scientifically sound method of simply taking how many serious cases he had had in a year in Papua New Guinea and “guesstimating” how many people would have been killed worldwide based on that figure. Despite there being major doubts about the legitimacy of his research, even if we take 150 deaths per year as verbatim, and divide this number by the rough number of people old enough to play the lottery in countries which have coconut trees, your chance of being killed are only about 1 in 270,000,000. That’s far less likely than your chances of being eaten by a shark or winning the Mega Millions jackpot (which is now at $304,000,000 only at Lottoland)! So if you’re on vacation in the tropics this year and you do get struck on the head, first be thankful you didn’t back up Barss’s hypothesis and then think about going and buying a lottery ticket. The word “coco” comes from the Portuguese term for “grinning face” as Vasco de Gama’s sailors who first “discovered” them thought the three holes looked like a similing visage. English sailors later added “nut” so there was no confusion. Coconut water can be used as a substitute for blood plasma because its high level of sugar and salts make it possible to use in a similar fashion to an IV solution I used. In fact it was used in emergency blood transfusions in the Pacific Campaign in World War II. Coconut trees are one a handful of plants which have evolved to to increase their populations by floating over the ocean. Coconuts are highly buoyant and water resistant, floating to other islands or land masses hundreds or even thousands of kilometres away. They are also unusually efficient at germinating in salty, sandy soil which is why sometimes you have trees literally growing on the surfline. Because of this method of reproduction no one knows for sure where coconuts originated although many scientists now believe that they evolved from a proto species of plants on Papua New Guinea. Scientists believe the paths that coconuts take across the ocean currents may closely match both migratory and trade routes oused by our ancient ancestors. In Sumatra, farmers have been using trained monkeys for centuries to harvest their coconuts for them. A trained coconut monkey is worth more than several draft or food animals. Coconuts produce enough oil that energy scientists have contemplated using them as a basis for biodiesel fuels. In the Philippines a 90 proof “coconut vodka” called lambanog is distilled from the sap of the unopened coconut flower. Coconuts can survive for up to 100 years or more without germinating. The Kiribati tribe in Micronesia crafted suits of coconut armour out of densely woven coconut fibres to protect them in battle. I used to date a girl from the Solomon Islands and her Mom was hit with a falling coconut. Luckily she was not a statistic. True story. Stay safe. 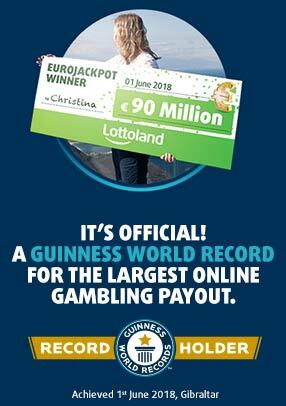 How would you spend a lottery jackpot?